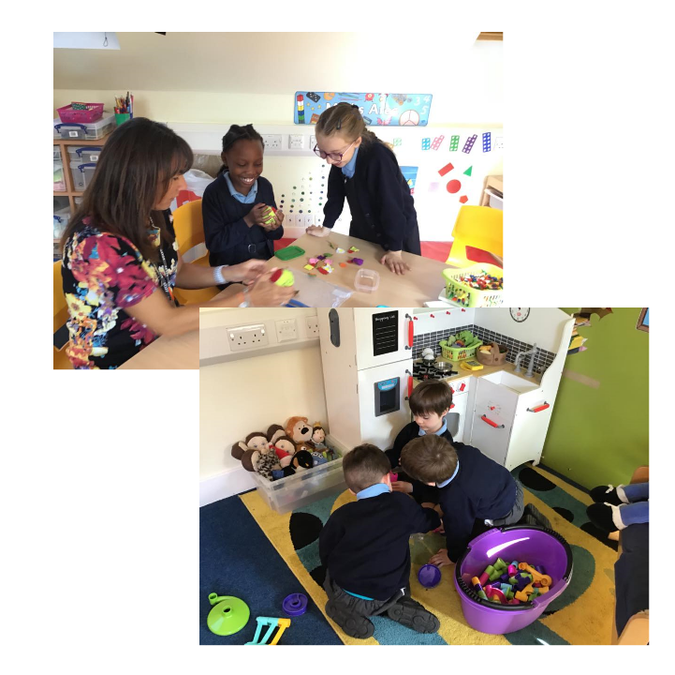 ...is a small learning provision providing individualised learning and support for children at Chalkwell Hall Infant School. We work in a small team consisting of one teacher and three learning support assistants, for the duration of the morning session. In the Treehouse, we focus on English and Maths as well as gross motor, fine motor, speech and language and social skills. Our mornings include sensory breaks and opportunities for children to work on their Individual Support Plan targets. We provide a safe and secure base for the children to develop, learn and of course have fun! Our classroom has role play corners, learning tables, a dressing up area, quiet areas and an English and Maths zone. The themes for our role play areas are determined by the children, we have plenty of resources accessible for them to explore. We also have areas of the room that focus on emotions and lots of resources to help with the emotional literacy of the children in the class. 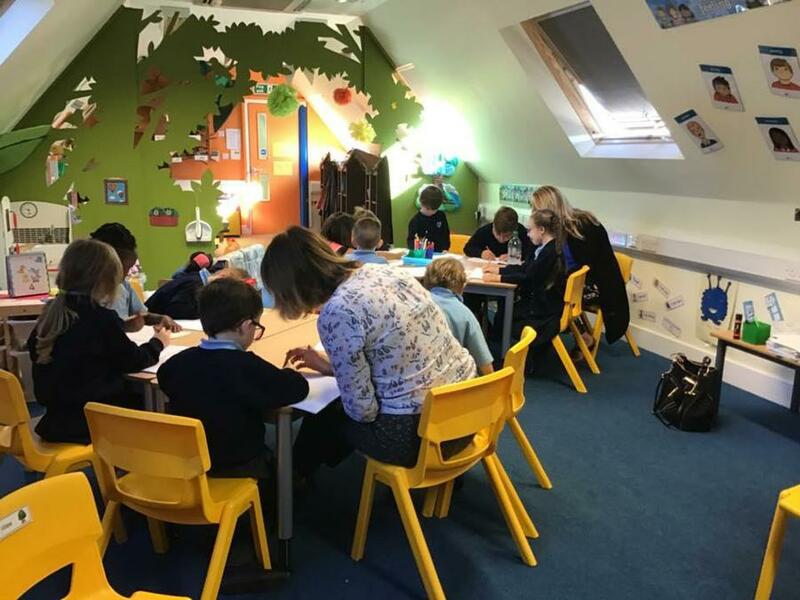 The children in the Treehouse are learning at different levels but usually find the environment of the Treehouse an easier space to complete their morning lessons. This safe setting allows the children to thrive whilst learning new things. We currently have children from year 1, 2 and even 3 visit our provision. In the afternoons, the children mostly access their mainstream class and join in foundation subjects independently. We are a committed and enthusiastic team who love our roles in school and try our best to meet the needs of all of the children we teach. Our relationships with the children and enjoyment of teaching helps the Treehouse to be the best it can be! "The treehouse has been brilliant for our son. Learning in a smaller class at his own level has given him more confidence in the areas of learning he finds difficult. It has also been great for his independence. He is really happy in the treehouse and all the teaching staff are lovely!"